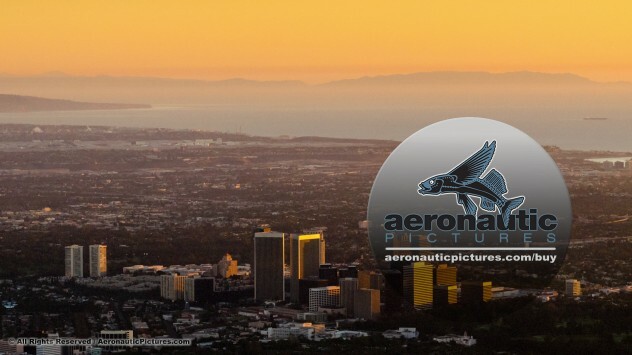 The twin high rise skyscrapers of downtown Century City are seen in this 4K UHD aerial stock footage of West Los Angeles, Century City and Santa Monica, including Santa Monica Bay, Los Angeles International Airport (LAX), and Catalina Island in the distance. This Los Angeles aerial stock footage was produced from real helicopter shot 4K digital aerial imagery and combined with computer generated elements to deliver full 4K 4096×2160 at 24 FPS. Running time is 12 seconds. Price is amazing for West Los Angeles aerial stock footage of this quality!